When you plan your schedule include alternate class choices, should your first choice be unavailable. If you are pursuing a degree program, we encourage you meet with your Academic Advisor, and to register early in order to reserve seating in the classes you need to progress toward graduation. 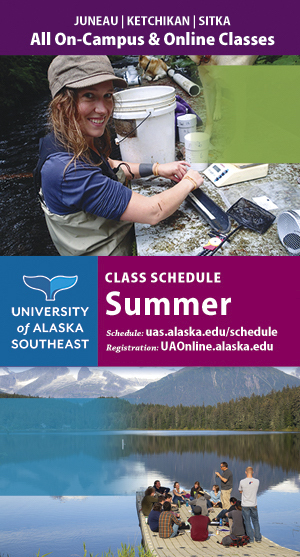 Current program information is available through our online Academic Catalog. 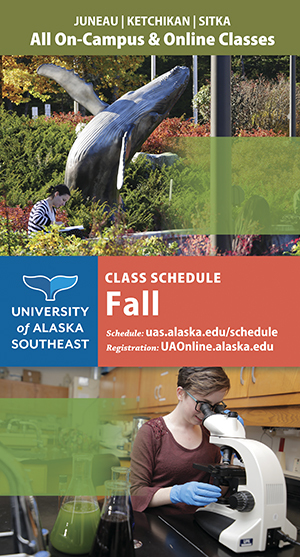 Short courses have pro-rated drop/withdraw dates that differ from full-term classes. A course drop includes a refund, a course withdraw does not. Short courses drop/withdraw dates are listed by campus on each semester's short course listing page. The class schedule is designed to provide current and accurate information. It is provided in both print and web format for informational purposes only and should not be construed as the basis of a contract between a student and the University of Alaska Southeast.